This brings us to the last relaunch of a decade-specific super team. Christopher Yost and Marcus To had their work cut out for them. The problem with the New Warriors, aside from their glory days being tied to a very specific period of time, is the fact that you can’t make them a group of “teenagers” again if you want to use any of the original members. They’ve all been through a lot since the Warriors disbanded, which, I suppose, is a credit to how appealing they were to other writers. But these aren’t rookies anymore. Heck, Justice was an Avenger (I guess technically Speedball was, too). At the same time, creating a brand new team of teenage superheroes begs the question as to why you’d call them the New Warriors. There has to be at least some connection. So instead of focusing on their ages, Yost and To put together a team using a theme from the New Warriors very first appearance: characters from every corner of the Marvel Universe. This isn’t an Avengers book or an X-book. This is a book that touches every Marvel brand. There are only two original members on this new team: Justice and Speedball. It makes some kind of sense that they would be the two to reform the team, as they’re the most enthusiastic about being superheroes. It does take some of the edge away from the team, though. They’re also easily kept together as they’d just done a stint at Avengers Academy as instructors. There’s a Nova on the team, but this is a new character. There’s also a Scarlet Spider, but he’s also not the guy who was on the old team. 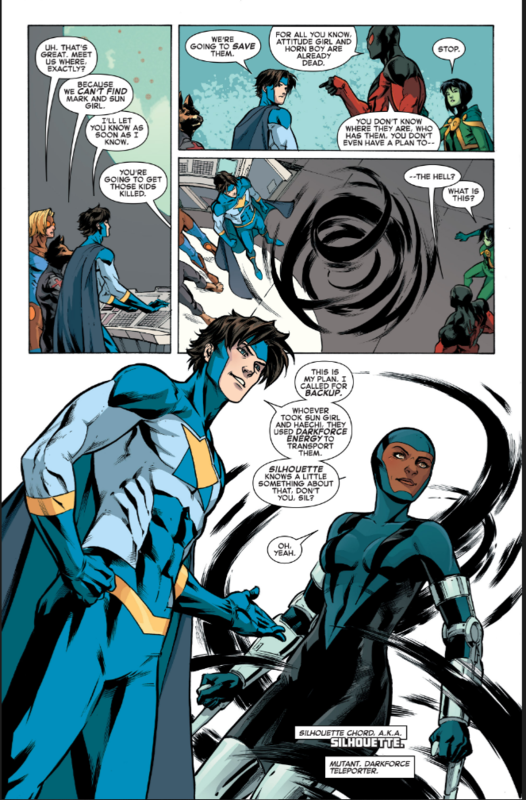 Still, they’re nice nods to what came before, even if I think the new Nova skews too young for the team (as opposed to the Champions, which is where he is now). 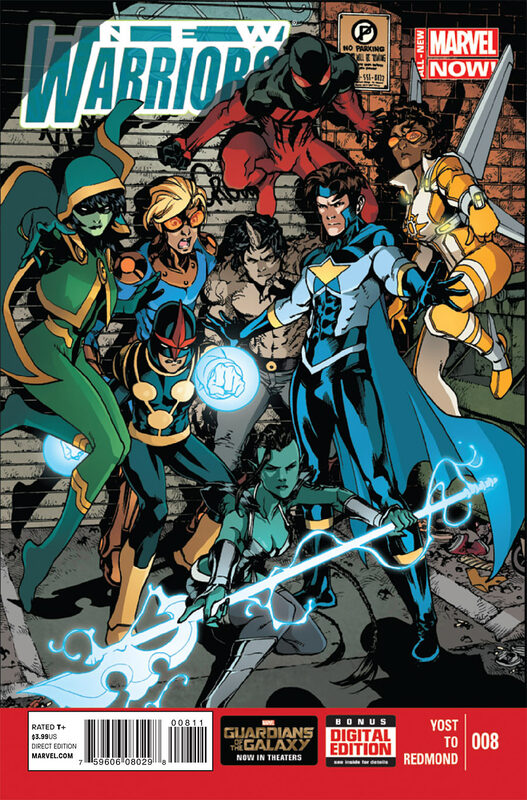 The rest of the team is filled out by new or relatively new characters: Sun Girl, Haechi (an Inhuman), Water Snake (an Atlantean), and Aracely, who Yost says is a demigod. That’s a pretty big cast of mostly unknown characters. As a long time fan, I was disappointed in the line-up. The New Warriors expanded quite a bit throughout their existence (not even counting characters like Ultra Girl and Slapstick, who both joined somewhere other than in New Warriors comics) and I think an amazing team could be formed with former members. But this is the way forward. There was a reason for this new team, one which we learned in the first issue — and it wasn’t just nostalgia. There was a lot to like about the fifth volume of the New Warriors. Yost gets Speedball and he gets Justice, perhaps more so than any writer since Nicieza. 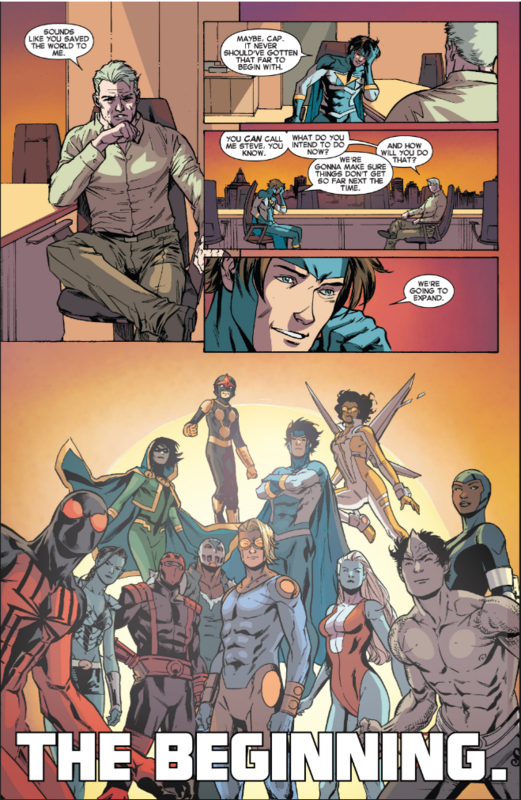 The additions of Kaine as the Scarlet Spider and Aracely aka Hummingbird are great. They add a lot to the book, Kaine as the cranky foil to Justice, Aracely as a mirror to Speedball: enthusiastic, but with a dark side. Water Snake is interesting, at least, but we don’t really get to dig into her mystery since the book only lasted 12 issues. Sun Girl seemed promising, but is ultimately a non-entity. Nova isn’t around for every issue which is probably a good thing as he doesn’t ad much to the dynamics of the team. At this point in the Marvel Universe, the Inhumans were a thing. I mean, they weren’t really, not to anyone who was buying comics, but Marvel really wanted them to be a thing. The popular theory is that Marve weren’t promoting the X-Men because they didn’t own the movie rights, so instead they would promote the Inhumans are X-Men Lite, because they own those movie rights. Regardless, the Inhumans were everywhere for a few years, while by now they’re in a single title in which they are all dying. Haechi’s not a bad character, either, it’s just that, like Sun Girl, he’s never really developed. But, again, the series only runs 12 issues and it features a large cast, so there wasn’t much time. Seriously, Vance? You’re tell a black woman that she has no idea what Haechi is going through because he can’t just take his mutation off? The fact that Vance’s ignorance is never directly addressed annoyed the heck out of me. To make matters worse, Sun Girl forces her own opinions on super powers on Haechi. She still doesn’t come off as badly as Justice, though. Haechi gets a lot of screen time over the 12 issues which is not great for this book. We get some hints at some potentially great stories for Speedball and Hummingbird, but neither gets nearly as much time in the spotlight as Haechi. Even the issue dedicated to Justice and the Scarlet Spider hashing things out feels light, as they’d barely been a team long enough for them to be working through their issues. Yost and To expand the roster in issue #8 with the addition of another old school Warrior, Silhouette. It’s great to see Sil again. She was probably the Warrior that Nicieza did the least with and none of the creators after him seemed interested in using her. Her brief appearances in volume 4 didn’t offer much. Still, adding another character to a series that wasn’t going to be around past a year was probably a bad idea as screen time was already limited. 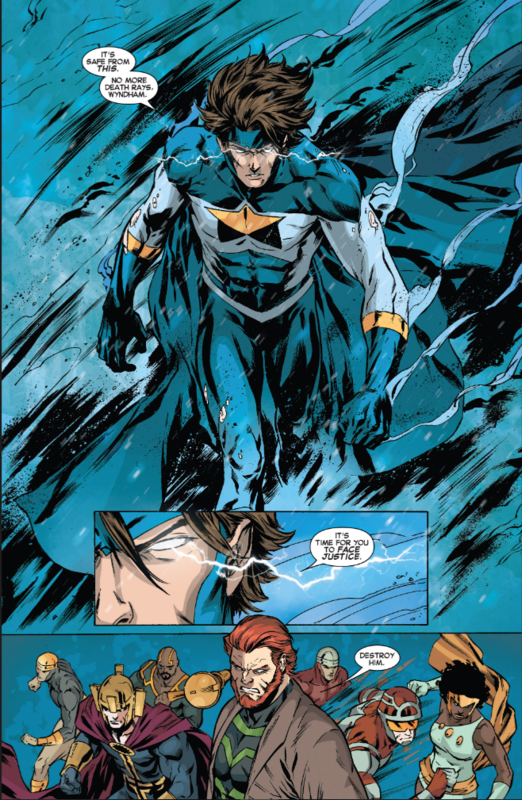 To’s artwork is great and probably the best we’ve gotten for a New Warriors book. His character sometimes look a bit young (see Vance above) but his storytelling is dynamic, the action big and bold, and you can tell how the characters feel when they’re talking. He’s like a Bagley but with a variety of body shapes and some Mike Norton thrown in to boot. His work was evolving in front of us, too, taking on a darker, more grounded look. 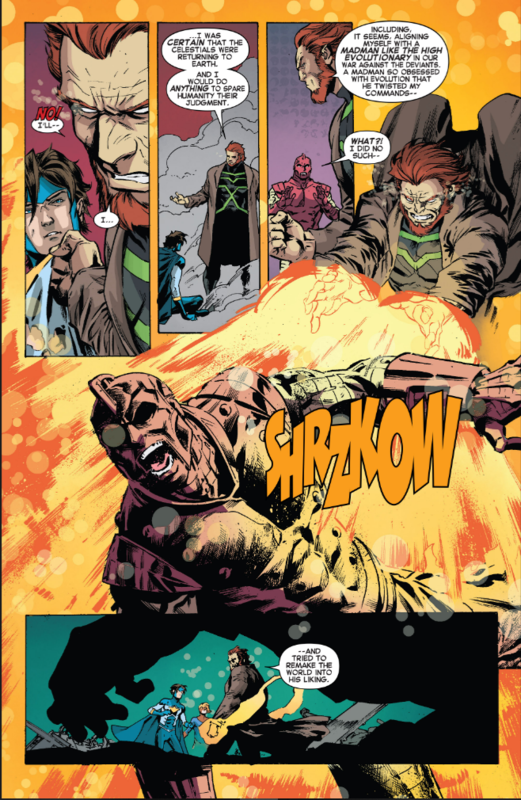 You could see influences from artists like Butch Guice or Michael Lark. You can really see where To’s art might start going had this series continued. That’s probably the biggest issue that New Warriors v5 had: not where it was going, but where it was, where it had been. It didn’t stand out from any of Marvel’s other books at the time. 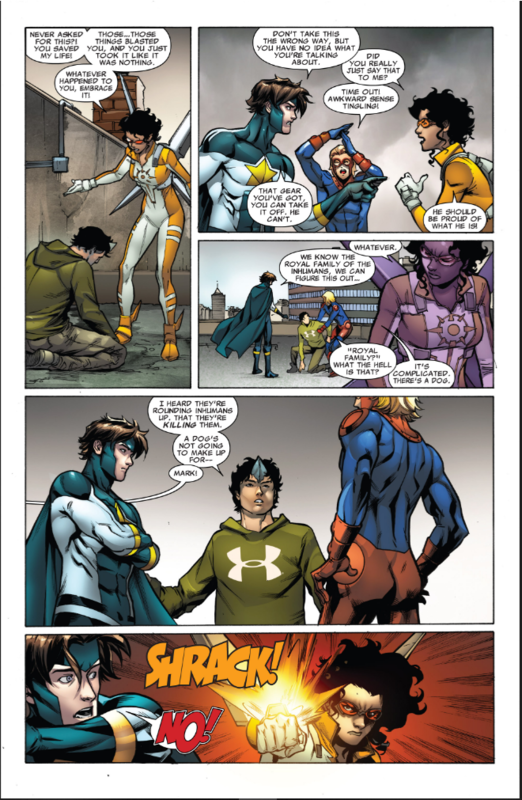 That might actually be the problem with the New Warriors in general. At this pint we’ve gotten five volumes of the team: 2 and 5 were the closest in spirit to the original, 3 and 4 were attempts at something new. It seems like the only way the New Warriors will succeed is if they find something in the middle. That’s old man Captain America for those who don’t remember this exact moment in Marvel Universe history. The interesting thing is that the expanded team shown there includes Namorita, who is supposedly dead. That would suggest that the Night Thrasher in that picture could be Dwayne, not Donyell. Rage is there, too, which makes that larger line-up really exciting. Will we ever see it? At this point, I doubt it. I don’t think we’re going to see the New Warriors again unless there’s an angle or a hook. Let’s hope it’s a good one this time.